I have spent quite a lot of time at Helsinki Airport during these two years. 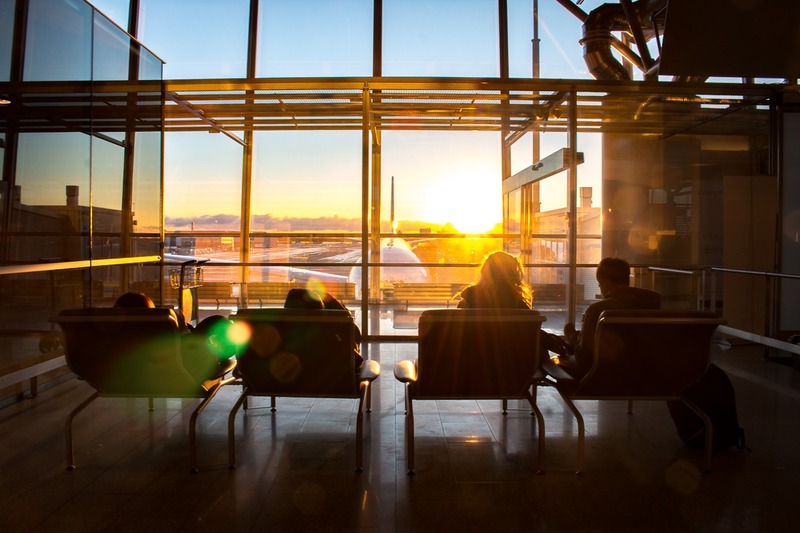 That is why I want to share with you my tips on how to spend time at Helsinki Airport to add value to your travelling. Spending the night at Helsinki airport? No worries! Spending the night at the airport isn’t always the nicest part of your trip. Most of the places are closed and it’s hard to find a suitable bench to sleep on. At Helsinki Airport all the lounges are closed during the night time but there are two cafés called Tori Café or Tapio Café (depends on the night but they are located next to each other) and Ulappa Café open 24 hours. The benches at Helsinki Airport are fairly better than in most of the airports because you can actually lay on them since they don’t have handles between every seat. But what’s even better is that at Helsinki Airport you can find Go-sleep tubes at gate 31. At night time (10pm until 6am) you have to pay for using them. They cost 8 € per 1 hour. So quite pricey but if you want to sleep well, I suggest you to try them. If you spend the whole night in the sleeping tube the price is 39 € including a pillow and a blanket. You can also charge your phone and store your luggage inside the tube! Kids, kids, kids… stressful travelling or not! Travelling with kids is sometimes quite stressful. At Helsinki Airport there are Reima-playrooms at gates 16, 20A, 30 and 38. There are toys to play with and if you wish to heat your baby food you can use the microwave at gate 3o. At gate 38 there’s a small jungle gym and some fun brain games for kids. At gate 37 there is a play area for older kids. The area is equipped with a table football, dance game and air hockey. Reima playroom at gate 30. Measure your kids and maybe yourself! What if you just want to go planespotting? At Helsinki Airport there is a scenic terrace to look over the runways 1 and 2. It’s located in the blue glass office building next to Terminal 2. You can go to the terrace by walking outside from Arrivals 2B and turn right to the covered walkway towards Hotel Hilton. You will face an elevator that you can take to the roof. The scenic terrace is part indoors with heating. The outdoor terrace is closed during winter months but the inside terrace is open year round. You can enter the terrace free of charge but if you have a wheelchair please contact aiport information in the corridor between Terminals 1 and 2 for further information. Check out the free lounge at Helsinki Airport! I have a good tip for you if you’re trying to find a cosy place at Helsinki Airport to wait your flight. At gate 31 there’s a free lounge for all the passengers called Kainuu lounge. Kainuu lounge is inspired by the nature in Kainuu area from the North East of Finland. Kainuu lounge has a perfect atmosphere for chilling. There is also a book swap where you can leave your own old books and take some new books to read. The best restaurants and cafés to check out are Pier Zero, Wine & View and Urban Food Market. Pier Zero is a modern but pretty looking café and restaurant between gates 28-29. It has two floors with separate restaurant and café sides. It has a perfect view over the runway. Wine & View is an award winning wine bar serving classy wines and chanpanges. It is located at gate 26 and also has a view to the runway. Wine & View is an elegant way to start your holiday. Take one glass of champagne or wine and get to the mood of holiday. In Terminal 1 there is Urban Food Market where you can pick up your favourite snack and chill in the cosy café. Urban Food Market’s style is quite rustic but it will serve a tasty start for your Holiday. Restaurant Pier Zero uses Finnish wood and is designed to resemble the wings of an airplane. The most commonly asked question at Helsinki Airport is if there are any lockers to store the luggage. There are lockers in Terminal 2’s ground floor, one level down from the Arrivals floor. They are 6 € per day and if your item doesn’t fit in the locker the service desk called Airpro Travel Service will take your item in hold (notice that the price is different then). In Terminal 1 there are also some small lockers in the ground floor but if you want to leave your winter coats or a ski bag to hold then go to Terminal 2’s service desk. Special tip: What’s different in Helsinki Airport? You can find rocking chairs at gate 36 A-K (also known as the new bus terminal). Did these tips help you? Comment and share your experience below!